Riedel (pronounced Ree-dle) is the industry standard for stemware and decanters for the wine connoisseur – it has b an illustrious history – family owned in Bohemia since 1756 (the same year as Mozart’s birthyear – it’s been that long!). With expert craftsmanship and a creative design team, their stemware and decanters are in high end restaurants and regular homes alike. It’s claim to fame is that the stemware was specifically and scientifically designed so the first hit on your tongue accentuates the qualities of the grape varietal that the glass was designed for. It’s been over a decade since we last had a Riedel Glass Tasting. deVine welcomes Alysha Harker, Regional Manager from Riedel Canada who will be coming in from Vancouver to do this presentation and wine tasting on Saturday, October 13th @ 7pm – $110/person. 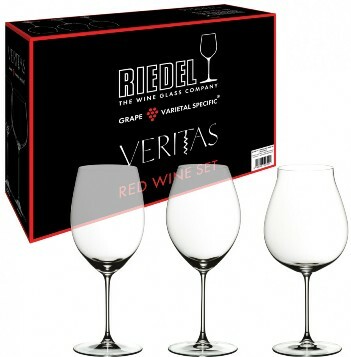 We will taste wine in the Veritas Line of Riedel stems, featuring the Pinot Noir, Syrah and Cabernet/Merlot glasses and best of all, you will take these stems home with you after the event in a three-pack box! For those who don’t believe stemware makes a big difference in terms of wine enjoyment, this will be an eye-opening and life changing experience. For the converted, this will reinforce the importance of these varietally-designed stems that are recognized the world over by oenophiles. We need 34 attendees to make this a go as there are a lot of moving parts, so we’re asking everyone to book by the latest midnight Sunday, September 30 as we will make the go-nogo decision then. You can register here..! This is a sit-down tasting. Besides your set from the tasting, we are taking pre-orders for additional sets – $89.99/set. As we will be getting a deal from Riedel that we’re passing on to you (regular price is $129.99), these must be pre-ordered when you register for this event online. Please click this link – $89.99 to order more sets. As this is a one shot deal, there won’t be extra sets for sale at the event, you must pre-order it. Domaine Tempier is an old family estate, owned by the Peyrauds since Lucien Peyraud married Lucie Tempier in 1936. 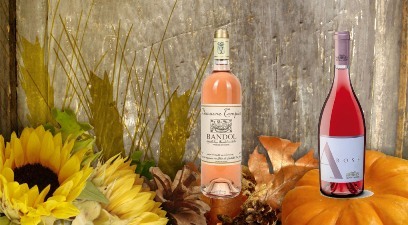 The family was largely instrumental in getting the appellation of Bandol established in 1941. Famous for their Mourvedre based reds which are quintessential expression of that rustic, earthy grape – grown on terraced vineyards on steep hills, Tempier is the standard bearer for the region. The Rose is amongst the best, while the reds are noteworthy for their collectibility and ageworthiness. (Even the rose can last decades!) We only have a six pack of some of these. Fine-grained tannins, lovely fruit and the trademark earthiness and minerality are a must for every wine enthusiast. We only have a six pack of some of these so don’t wait too long, they’ll be gone till next year. Sherry is a fortified wine made from white grapes that are grown near the city of Jerez de la Frontera in Andalusia, Spain. Sherry is produced in a variety of styles made predominantly from the Palomino grape. With its unique oxidative character, they can range from light dry versions such as Manzanilla and Fino, to darker and heavier versions such as Amontillado and Oloroso. The sweet dessert wines are also made from the Pedro Ximenez or Moscatel grapes, and are sometimes blended with Palomino-based Sherries. We’ve brought in a new line of Sherries by Bodegas Baron, and you will taste these if you come to our Wein, Schwein & Dine tasting on Sunday, August 26th. Sherries make a fine pairing with roasted pig! More on Wein, Schwein & Dine here..
An exact listing of the products sampled at each of the 5 tasting stations will be posted shortly. All will be chosen to pair well with roast pig! This will be a hot ticket so please book your tickets early as the event is limited to 100 people. Also, please bring some food to donate – boxes will be set up at both locations. 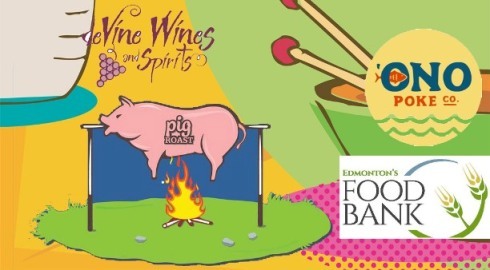 Let’s Pig Out on 104th-St, for a Great Cause! Advance registration is required, you can do so here.. Please Sample our Products Responsibly! 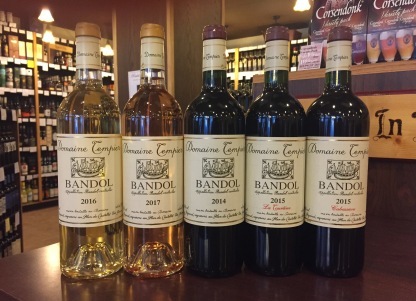 It’s super hot – more rosés are in order! This is our final Take three on new Rosé arrivals. We’re at the peak of our selection, and here are two of the finest pinks around. There are SO many to choose from! Perfect for al fresco drinking, grab some and enjoy the heat.